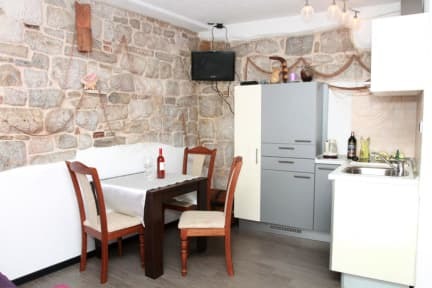 Lovely Hostel in the center of town, in the old part called Varoš, just 10 minutes walk from the Railway, Bus and Ferry station.We are situated only 500 m from the beach. We enlarged our capacity with few more fully equipped apartments just few minutes walking distance from our reception; all of them are i 100 m area. There are numerous reasons why visit Split. This ascient city, which is more than 1700 years old, offers you a unique experience of Mediterranean as it use to be. Here you can find the perfect ratio between tradition and modern, new and old. It's a home to Diocletian's Palace, which was built for the Roman emperor in 305 AD, and the city was founded as the Greek colony of Aspálathos in the 3rd century BC. Rich history can be seen in the numerous museums and art galleries (eg. The Archaeological Museum, The Museum of Croatian Archaeological Monuments, The Split City Museum, The Ethnographical Museum, The Croatian Maritime Museum, The Gallery of Fine Arts, etc.). Also, few kilometars away is another ascient town, known as Salonae, which was an ancient city and the capital of the Roman province of Dalmatia and it originates about 7th century BC. Today is situated in today's town of Solin, right next to Split. But, it's not only the history that makes this city special. There are many other sacral facilities worth to visit, city squares, and unavoidable Riva, Matejuška, The West Coast, many walking tours and walking routes (to Kozajk and Mosor mount, Nature park Biokovo) and from here is very easy to reach popular national parks, like National park Krka or Plitvice lakes. In the city you can find park-forest Marjan, the hill that overlooks the city, where you can take a walk, do some sport activities or go for a swimm. There are many beaches near the city center, and one of the most famous is the sandy beach Bačvice, which also have a blue flag. Also, Split is the city of culture, gastronomy, natural beauty, sport, entertainemt and unique experiences. - Cleaning of the apartment on departure day. One of the best hostels I've been to. The owner and the staff are incredible kind and lovely. The private room for 3 people is very comfortable and has everything you need to relax. Definitely stay there again when come back to Split. Hostel nikolla was perfect in every detail. 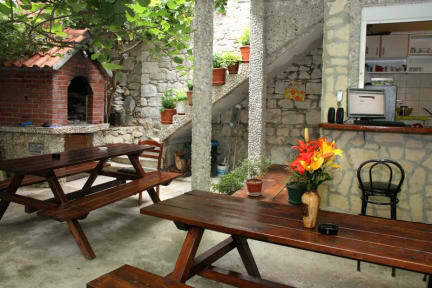 The location is perfect, less than 10 min walk from every important point in Split. The staff is so nice, always smilling and ready to help no matter what. The place is newly renovated, so everything is new and of good taste. I would describe my stay as perfect!